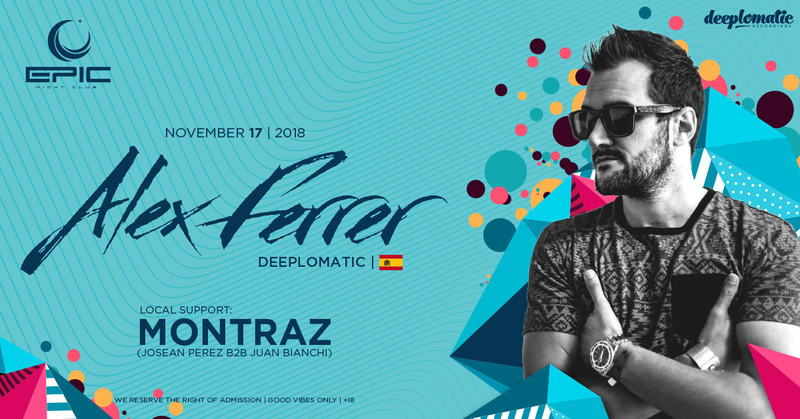 Este próximo Sábado 17 de Noviembre tendremos por primera vez en Puerto Rico al Big Kahuna de Deeplomatic Recordings, desde España y en exclusiva, Alex Ferrer!! Alex Ferrer is a DJ, producer and label owner who has be- come one of Spain’s nest exports in house music throughout recent years. Alex has been related to the music industry since his early teens, emerging from a background of House and Garage and been heavily influenced by an upbringing of Latin, Funk, Disco and Soul, he has since been featured on a mammoth list of DJ line-ups, radio shows, years and music releases. His diverse quality sound and distinctive image ensures a dedicated following wherever he plays. With an addiction for music, travel and party, he has played in over forty countries, obtaining a big scope of electronica in general, and house music in particular. His credentials include an eye-watering list of worldwide tours, DJ residencies and headlining appearances in renowned clubs all over the globe.